"It was a tough race. He really pushed me. He pushed me more than I expected. 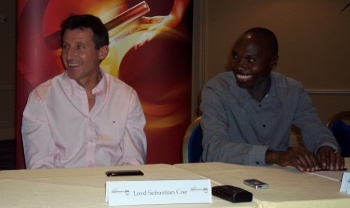 But with 150 to go and I just wanted to celebrate as this is a one in a lifetime chance - well two in a lifetime for me." 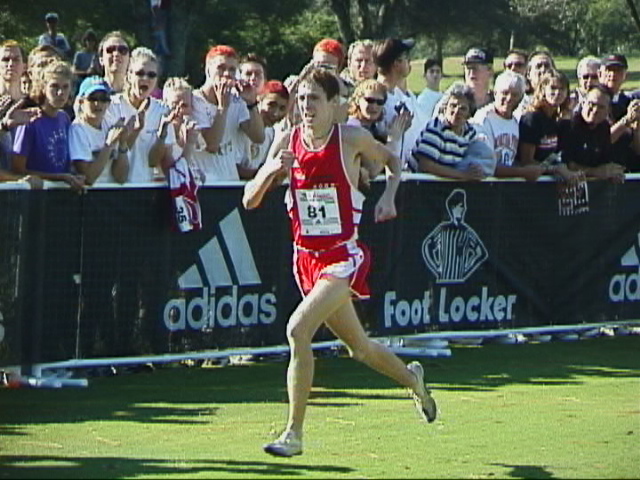 - Lukas Verzbicas talking after becoming just the third boy to repeat as a Foot Locker national cross-country champion. Live Footlocker Coverage is Great! Caster Semenya To Start Racing Again In January Yesterday, her coach indicated she may race on December 18th, but her fitness test must have not gone well as she comes back from injury. Europeans: Ireland's Joe Sweeney Is Back From Overtraining And Ready For European XC Sweeney has turned some heads in Irish circles with this quote in a different article: "If there's one thing I learned from the last two years is (sic) that you don't depend on Athletics Ireland for anything, you've got to be self-sufficient." 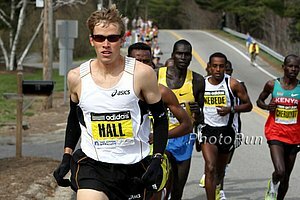 Pre-Race: LRC 2010 Foot Locker Predictions updated We've crunched the stats from our $20,010 Prediction Contest and have the LRC predictions. Lukas Verzbicas is heavily favored to complete the NXN / Foot Locker double. On the girls' side, Aisling Cuffe is the big favorite. NXN winner Rachel Johnson is only picked 6th. Thanks To FSU's Ciaran O'Lionaird & Providence's David McCarthty, Irish Hoping To Medal For 1st Time Since 2006 O'Lionaird was 18th at NCAAs while McCarthy was third at Manchester. The Irish also hope world junior silver medallist at 1,500 Ciara Mageean can medal. Officials Thank Portugal For Great Course And Great Weather How about a low of 50 and high of 65? *Meet Midwest Champ Allie Woodward, Who Got Lost And Finished Dead Last In Her First XC Race She only got lost we think because she was way out front, as this is her first XC season. *Massachusetts Sophomore Catarina Rocha Is The Daughter Of Two Foot Locker Finalists - Joe Rocha And Gina Braz Amazingly, her uncle was also a finalist.